Putin.BLOG Education Universities Forum of Student and Youth Organization Leaders. 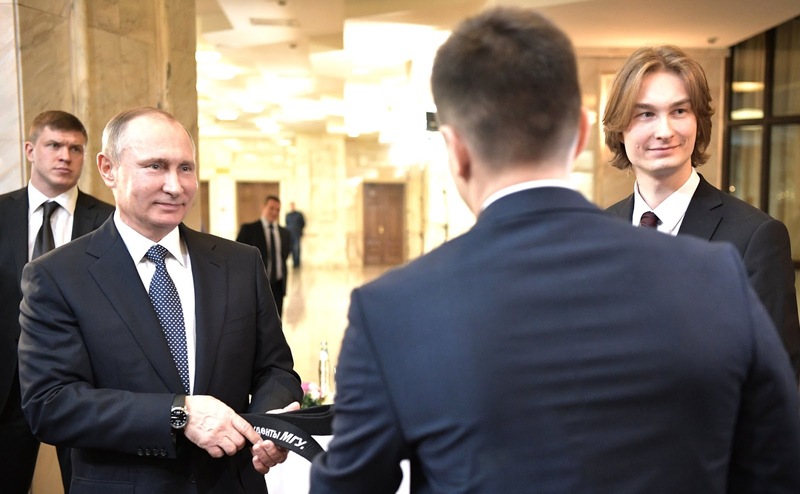 Vladimir Putin met with participants in the Forum of Student and Youth Organization Leaders on Russian Students’ Day. The forum, organized by the Moscow State University Students’ Union, the Russian Union of Student Organizations, and international youth organization Eurasian Community, has been taking place at Moscow State University since 2006. This year, the forum has brought together more than 120 representatives of student and youth organizations from 28 Russian universities. Good afternoon. I want to greet you all and offer my warmest congratulations on Russian Students’ Day, congratulating all Russian students through you, and all postgraduates and faculty at your universities, especially at Moscow State University, of course, which is hosting our today’s meeting. I hope very much that your student years will be a happy and successful time, that you will complete your study programs and will work with interest and pleasure for the good of our country, for Russia’s benefit. Happy holiday! I wish you all the very best. Vladimir Putin with Moscow State University Rector Viktor Sadovnichy. President's meeting with participants in the Forum of Student and Youth Organization Leaders. Vladimir Putin and Viktor Sadovnichy, Forum of Student and Youth Organization Leaders. Vladimir Putin and Viktor Sadovnichy, Student Organization Leaders. Russian President and MSU Rector answering the students questions. 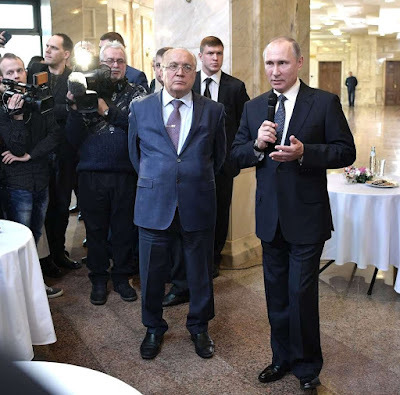 Vladimir Putin and Viktor Sadovnichy. 1 Response to "Forum of Student and Youth Organization Leaders."